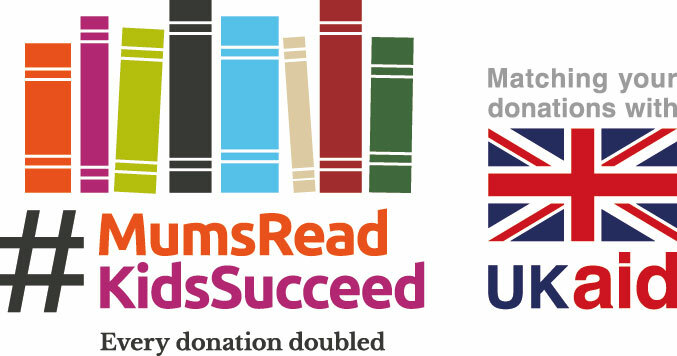 Our #MumsReadKidsSucceed project will reach over 2,000 vulnerable young women in rural Uganda, helping them to create a better life for themselves and their children. 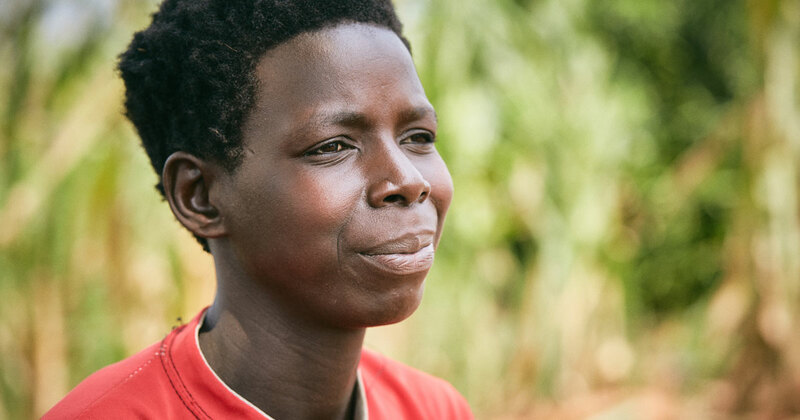 Like any parents, the young women we support only want the best for their children, however, the realities of poverty and cultural discrimination often stand in the way of providing the support they want to. "I was 16 when I first became a mother. I had no support and had to just leave school. I dropped out when I was in Year 5. My own mother had only made it to Year 6 and my father had died. She had six children of her own, so it was a struggle for her as a single mother. "Now I have five children of my own. I wish so much that I can help my children become successful. It is so hard to support them, but I try. I can only write my own name, but I want my children to learn how to read and write – to do better and to understand the world. "I cannot help them with homework even though I would like to be able to. I really wish that I could read stories to my children." "I was 16 when I had my first child. I had dropped out of school when I was 15, so this all happened within one year. "Life was good before, but it wasn’t easy becoming a mother. I was so young and I feared death. I thought I would die giving birth. I never knew what giving birth was like and I was worried I had not learned how to take care of a baby. 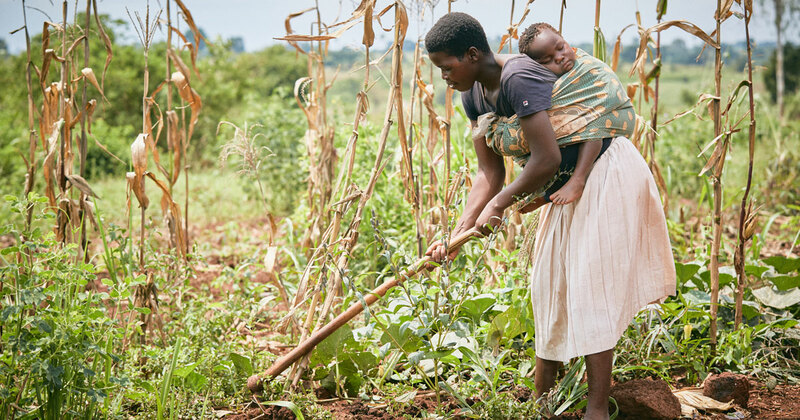 "I buy my children clothes and make sure they can eat, but I can only earn money through digging. Digging is so hard for me and I have to search for land and the seeds are expensive. "I would like both my children to study. That is my biggest dream." "I was 16 when I was married. I had my first child that year, also. Now I have two children who are both girls. They are five and two. Back then I was forced to leave school and it felt so bad. I could not afford to stay so I had no choice but to get married. I was young, but it is what all the other girls were married. "I struggled with my first child and was unable to care for her when she was sick. She became ill with an ear infection and now cannot hear – she is deaf. "The only way I can pay for my children is just to do digging work. I dig all day with my child on my back. I grow maize and can sometimes sell one bag for 50,000 UGS. 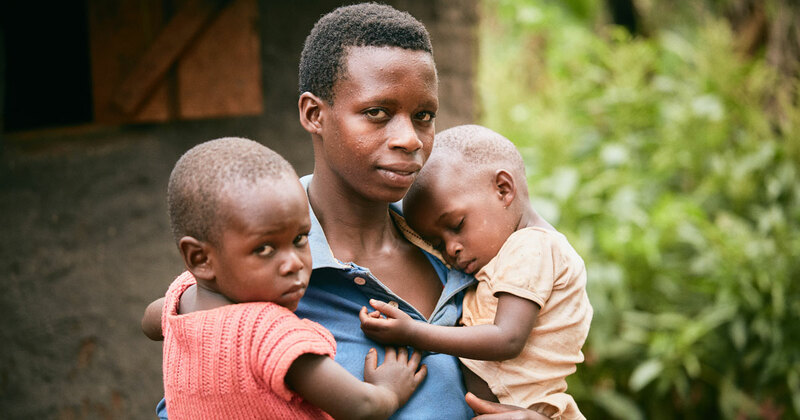 However my children are always falling sick with malaria and the treatment costs 30,000 UGS. "If I could have anything in the world I would have just enough to look after my children. That is all. I want them to grow up and to have good jobs. I want them to become a nurse or a teacher so it is a must that I can send my children to school."